Daniela Lourenco is a fully qualified and registered Psychoanalytic Psychotherapist. She is a member of UKCP, BACP and AAP (Arbours Association of Psychotherapists). 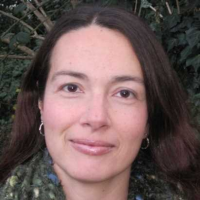 As well as working in private practice Daniela works as a School Counsellor in Primary Schools. Previously, Daniela worked for The Latin American Women's Rights Service, offering Psychotherapy to women suffering from Gender Violence, abuse and discrimination. She also worked in Therapeutic Communities and in a Crisis Centre as part of her Psychoanalytic Psychotherapy training at the Arbours Association. Relationships; Anxiety; Depression; Self-Esteem; Gender Violence. UKCP; BACP Reg. ; AAP (Arbours Association of Psychotherapists).